Trumps was founded in 1986 and since then has been an icon in the Green Hills area of Nashville. Owner Earl Cox created the salon with the intention of providing it’s clientele with the best and latest techniques in haircuts, styling, coloring, nails, skin, and massage, while keeping the image of the salon low key amidst the celebrity clientele. 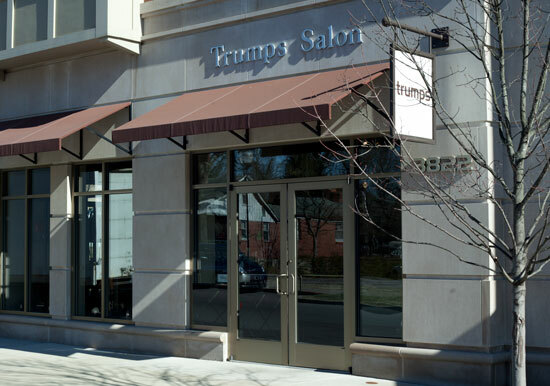 Although the salon is the choice of many celebrities, it is the trust of loyal patrons that the experienced team at Trumps deems invaluable. The Trumps team is continually educated with extensive in-house training, while using Schwarzkopf color, Kerastase hair care, Jane Iredale The Skin Care Makeup, and A Natural Difference skin care. In addition, Trumps is Nashville’s best kept secret known for it’s wide array of jewelry and handbags. Trumps is devoted to making your experience one of quality and artistry while meeting your individual needs. I really enjoyed my visit to Trumps Salon! The staff was very professional, yet friendly and made me feel right at home. I've been to a lot of salons in my day and I have to say Trumps ranks #1 in my book. 5 STARS!!!!!! Copyright © Trumps Salon 2011. All Rights Reserved.